Last month’s announcement that SpaceX has been approached to fly two private citizens on a trip around the Moon in late 2018 – fresh on the heels of a similar announcement from NASA – has ignited considerable debate among industry insiders, pundits, and followers of the NewSpace company. 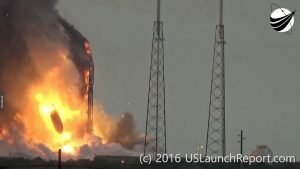 On the face of it, the plan seems relatively simple: two passengers who have given SpaceX a sizable deposit will undertake a relatively short-duration mission (by today’s spaceflight standards) in which the Crew Dragon capsule will leave low-Earth orbit after launching atop a Falcon Heavy rocket to loop around the Moon, return to Earth, and splash down in the ocean. This circumlunar flight will make use of a free-return trajectory, which is an orbital path that allows the spacecraft return to Earth after making a long loop around the Moon without subsequent propulsion. This type of flight profile allows for a return to Earth, even in the event of a failure of the vehicle’s propulsion system, and is inherently safer and less complicated than if the spacecraft were to enter orbit around the Moon. It’s a mission that will, in many ways, harken back to humankind’s first flight to lunar vicinity: Apollo 8. Perhaps not coincidentally, SpaceX’s planned flight might occur in close proximity to the anniversary of that groundbreaking mission from 50 years ago. Formed in 2002 by Elon Musk, SpaceX has been in existence for a mere 15 years. In that time, it has accomplished a number of things including creating the first privately developed liquid-fueled launch vehicle to go into orbit – the Falcon 1. A two-stage rocket, the Falcon 1 stood some 70 feet (21.3 meters) in height. After that, the company’s attention began to focus on the larger, more powerful, Falcon 9. With the help of development funding via NASA’s Commercial Orbital Transportation Services (COTS) program, the first flight occurred in 2010. Also a two-stage rocket, the current version of the Falcon 9, the “Full Thrust” stands some 230 feet (70 meters) in height. In 2012, a short 10 years after the company’s founding, SpaceX became the first private company to launch a spacecraft that subsequently rendezvoused with and was berthed to the International Space Station (ISS). The Dragon capsule, which was also partially funded by COTS, is now one of two private spacecraft that service the ISS several times a year. SpaceX’s comparatively inexpensive launch service has been a disruptive force throughout the worldwide launch industry, causing many providers to examine ways to cut their costs while providing a competitive product. As part of NASA’s Commercial Crew Program, SpaceX is one of two companies developing spacecraft to send people to the ISS. For added safety for a crew, engineers are developing an integrated launch escape system (LES) that also doubles as a landing system. Rather than discard an expensive towed-tractor style LES, like those used on Apollo and the new Orion spacecraft, this new system has the potential to be used to allow heavier payloads to be landed on Mars, or to propulsively land on a pad back on Earth, negating the need for a water recovery. Perhaps SpaceX’s crowning technical achievement to date, however, is the recovery of the first stage of its Falcon 9 rocket. While every other active launch service provider discards their hardware once its job is complete, SpaceX’s goal is to recover the stage, either by landing it near the launch site or having it land on an automated drone ship, and reuse the hardware. The NewSpace firm now wants to send people around the Moon. NASA was able to accomplish something similar nearly 50 years ago during a time when crewed deep space flight information was non-existent and flight computers were a tiny fraction as capable as today’s smartphones. As such, the argument could be made that SpaceX can accomplish the same thing in less time. Certainly, SpaceX has done some incredible things, and it’s not entirely unlikely it could pull off a crewed flight around the Moon in less than two years. However, the company is not infallible, something a cursory glance at its track record will readily show. 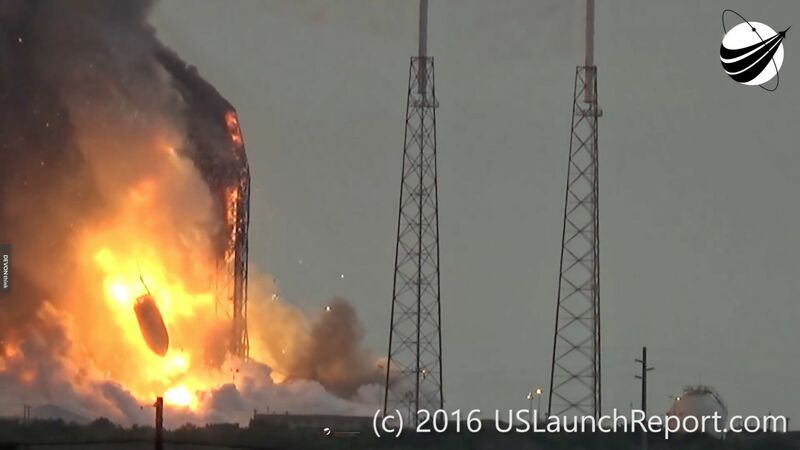 SpaceX has lost two rockets within a 14 month period – one of which exploded on the pad during a test. Though no one was injured in either incident, it is still a point of significant concern. In fact, some have questioned SpaceX’s focus and consider it a prime reason for the company’s issues. While the company has 29 successful launches on its books, it has never launched crew, or flown the Falcon Heavy, or orbited the Crew Dragon spacecraft, or conducted an in-flight abort, or have a completed space-worthy life support system. With so little time to meet the stated goal of the end of 2018, each of these development milestones takes on extra urgency. Perhaps one of the most critical pieces of evidence comes from the company itself. In stark contrast to the ambitious announcement, SpaceX has never once met its projected annual flight cadence, often missing it by a significant margin. Nor has it ever accomplished a major stated goal on-time. To wit, Falcon Heavy was to initially fly in 2012. Indeed, SpaceX CEO Elon Musk is well-known for aggressive schedule forecasts – often unmet – and has even made mention of it himself. Unfortunately, the inability of the company to meet its timelines has caused SpaceX to lose business. As noted, SpaceX has launched 30 times, 29 of them successful since June of 2010, providing them with a rate of launch of about 4 times per year. SpaceX is confident it can conduct the mission while still meeting its Commercial Crew Program commitments to NASA. For its part, the space agency released a statement that initially seemed to support SpaceX’s bold mission, though a closer inspection hints that might not be the case. “We will work closely with SpaceX to ensure it safely meets the contractual obligations to return the launch of astronauts to U.S. soil and continue to successfully deliver supplies to the International Space Station,” the agency’s release stated. A possible translation: NASA needs SpaceX to complete the tasks for which it has been paid. Of course, SpaceX plans to fulfill its Commercial Crew Program obligations while also working on the circumlunar mission. For both to happen, however, significant work remains to be done. There is the potential that these differing objectives might strain the company’s capabilities. Allaying concerns about the spacecraft, Musk has said the Crew Dragon’s heat shield was designed for reentry from cislunar missions and is ready as is. “The heat shield is quite massively over-designed,” Musk said in a conference call with reporters, according to Eric Berger in a report by Ars Technica. Life support systems development is also moving forward, with SpaceX recently initiating evaluations for the Environmental Control and Life Support System (ECLSS) of its Crew Dragon spacecraft. 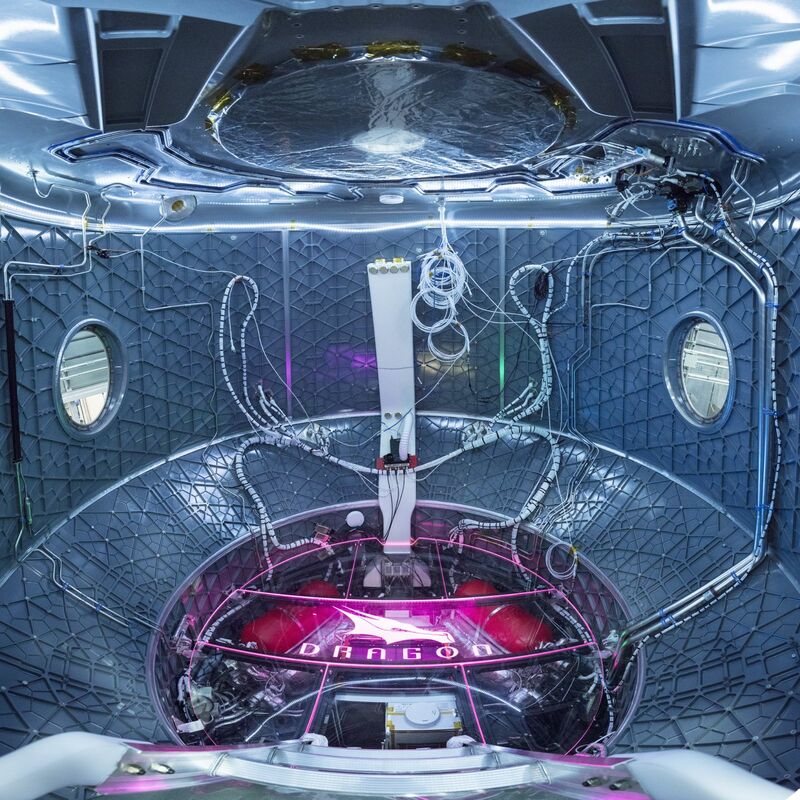 “Extensive testing of the ECLSS module has and will continue to contribute to improvements to Crew Dragon’s design and operation, which ultimately leads to greater crew safety,” said Nicolas Lima, a life support systems engineer at SpaceX, in a release from NASA. Musk said the vehicle is hardened against radiation, a necessity when spacecraft go beyond the protection of Earth’s radiation belts, but the communication system will need to be upgraded as it is undersized for a mission at lunar distance. “We are confident this will be a good vehicle to fly on,” Musk said during the conference call. Though the SpaceX CEO is optimistic the mission will lift-off in 2018, that confidence isn’t shared by all. The lack of flight-proven experience is something that concerns Wayne Hale, a former manager of the Space Shuttle program. In an interview with Space.com, Hale gave a succinct analysis, likely shared by many. 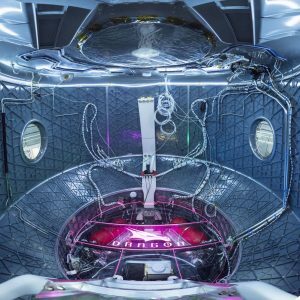 That’s the second time I’ve seen that photo of the inside of the current “unmanned” Dragon capsule being used in a story about testing the new Dragon V2 life support. We’re unsure what your comment about the “bar being set low” – but we at SpaceFlight Insider work hard to provide you with the best content possible and are only as good as our sources. Good article. Mind due, the bar has been set very low for this subject. Sheesh, Curt- you are nothing if not skeptical of SpaceX’s aspirationsx, almost to the point of negativity. As a retired journslist this article reads to me like it was written to a predisposed conclusion ending at a negative place. The question goes to one of motive. I understand it when retired NASA exec Wayne Hale says the SpaceX schedule is aggressive to the point of being not believable. Just keep in mind Hale’s career was spent in the culture of NASA Risk Aversion , where to my mind the overwrought concerns about safety were detrimental to innovation and hampered exploration. Typically bureuacratic. Whereas if you would pull yourself away from the scvreen or the sopbox and take a look around SpaceX’s factory floor in Hawthorne, you would in fact see that nearly all the pieces needed to put a capsule around the Moon and a little beyond then bring it home are in place. That’s because SpaceX has been designing towards and cutting metal towards exactly this sort of mission since the company was founded. Twelve years of engineering lead time. Assuming the first two flights of Falcon Heavy work, a major concern for sure , and assuming the relatively minor requirement of a cislunar comnunications system can be developed in the coming year, then all the lights look green to me. 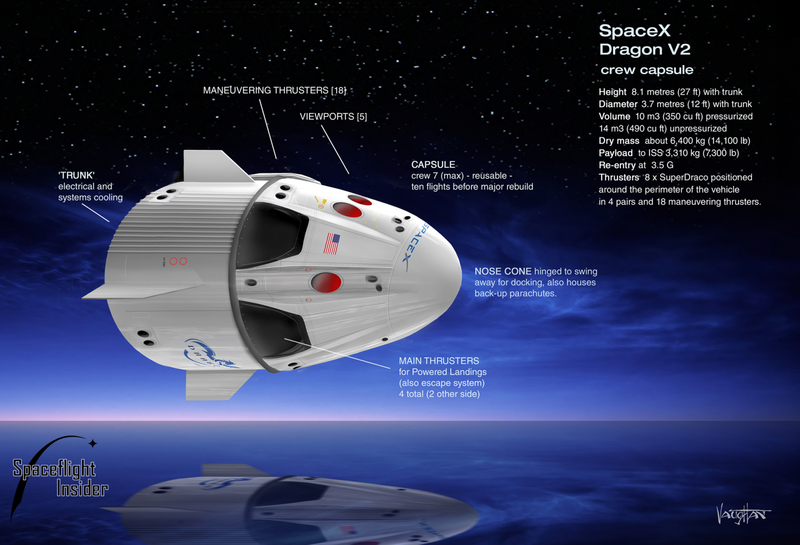 The third Falcon Heavy – third Dragon V2 would be Moonbound, with live passengers. Humans, not chimps . Why not ? Bureaucratic viscosity and jaded journalists aside, this is what American innovation and human exploration look like, in their own good time. “SpaceX has been in existence for 15 years. In that time, it has accomplished a number of things including creating the first privately-developed liquid-fuel launch vehicle to go into orbit, the Falcon 1. After that, the company’s attention began to focus on the larger Falcon 9. With the help of development funding via NASA’s Commercial Orbital Transportation Services (COTS) program, the first flight occurred in 2010. In 2012, a short 10 years after the company’s founding, SpaceX became the first private company to launch a spacecraft that subsequently rendezvoused and berthed with the International Space Station (ISS). Oh, yeah SO skeptical! What a bunch of claptrap. It’s called being unbiased. The story shares SpaceX’s many positives, while expressing sensible concerns. Did you retire, or were you FIRED for dishonesty and bias (judging from your lack of professionalism, I’m betting on the latter)? God forbid someone writes a story critical of Elon Musk. Elon Musk’s political decison to opt out of American technology cooperate initiatives will haunt him for the next 8 years, unless, of course, he makes that one way trip to Mars before then. Lost some respect. Well if your most salient criticism is that SpaceX is unlikely to meet the 2018 timeframe, this article seems largely pointless. 2018 is a goal, not a deadline. If this mission is delayed until 2020 it will still be a remarkable achievement. SpaceX has put the Red Dragon on a more realistic time schedule in order to fulfill it’s contracted missions, which include the first scheduled flight of the Dragon man rated capsule and abort procedures later this year. No new delays have been announced w/r Falcon Heavy test flights either. Once Falcon Heavy flies, we should have a better time scale for evaluation of the circumlunar manned flight in 2018. The entire spaceflight industry needs to get past the unreasonable risk aversion of the NASA mindset. Spaceflight is DANGEROUS by definition, and an allowable level of risk must be involved. So a well sourced review of the likelihood of Musk’s proposal is posted and the SpaceX fanboys lose their minds. Curt did you a favor. Because when something goes wrong, like it did on CRS 7, & AMOS 6 and people die on SpaceX vehicles, you’re going to miss the “good old days” when all you had to worry about was a critical story. I get it, we live in the era of fake news, social media and alternative facts. Snowflakes lack the thick skin and self-reflection required of adults and they lash out at anyone who questions their fragile worldview. There’s a ton of blogs out there that cater to those who want nothing but a slobbering love affair. Why don’t you go be coddled over there? I agree with Curt. No Falcon Heavy has ever flown, nor has the Crew Dragon spacecraft. What we should expect is that, at least, Dragon uncrewed be flown to Moon. What we see instead is this risky, aggressive plan that continues to erode NASA’s patience. Spacex should concentrate all its talents & efforts to accomplish its prior agreements. It seems to me that Spacex has not paid attention to the Federal Aviation Administration (FAA), U.S. Air Force (USAF), NASA, NTSB, along with several industry experts after the Amos-6 anomaly. Really? And what evidence draws you to this conclusion? Actually, SpaceX pays attention to them all. That allowed them to return to flight in a matter of weeks with everyone of those agencies’ blessings! Nearly every support agency has said that no one communicates more clearly and on a timely basis. Great. A quality control engineer for the folks responsible for Challenger and Columbia says he’s worried about the safety of this potential mission. Just wow. I don’t see this mission as a problem, since the crewed dragon version will be used for NASA prior to the moon mission. In fact, probably Spacex will not be able to make it in time for the 2018 time frame, but the moon trip only contributes to make the dragon v2 safer to take astronauts to the space station. What’s the source for your information SpaceX “will” fly Crew Dragon before the proposed 2018 Moon mission? Is it their track record with FH (which was supposed to fly in 2012 and has already lost one customer due to it not doing so)? Was it CRS-7? AMOS-6? Or was it because a SpaceX executive told you they would? It’s well known SpaceX makes bold timeline proclamations that they never meet. NASA got “Go Fever” in the mid sixties and it killed the crew of Apollo 1. The problem with SpaceX fans is they take SpaceX’s word as gospel and criticize anyone with the audacity to point out the problems with the company and its claims. My advice is to not only accept, but to welcome criticism as it allows you to find problems and correct them before hand. Blindly accepting anything anyone, let alone a company, says is a recipe for disaster. I can not find the part where I said that I am a Spacex fan. I said that they will fly people in the Dragon v2 before the Moon mission because they have to take people to ISS because of their contract with Nasa. Agreed, you’ve clarified that you didn’t say you were a SpaceX fan. Please provide the source where SpaceX “will” fly crew before 2018. Thanks. I’m assuming that Spacex will prioritize a Nasa contract instead of a moon tourism mission. I can either surmise you thought I wouldn’t take the time to do the research, or you’re so far gone you didn’t bother to research who made those claims. The first two, a generic one by SpaceX and another by SpaceX’s COO Gwynne Shotwell – both come from SpaceX. You proved my point. I asked earlier what your source was and asked if you were just regurgitating whatever SpaceX fed you. Get it out of your heads I’m anti-SpaceX. I don’t want the company’s arrogance to cost them either customers or lives. I LOVE what they’ve done in terms of driving the cost to orbit down and proving 50-year old dogma as false (F9’s landing capabilities). Having said that? Their fans need to show some (any) respect and they need to sit down and shut up when it comes to acting like howler monkeys whenever people express concerns where crew safety is involved. Rest assured, those that have acted this way will be remembered when crew die on a SpaceX-produced vehicle – and they’ll deserve everything they get. I am continually surprised at the venom aimed at SpaceX and Elon Musk. Much it seems undeserving and based on fear of the competition and jealousy that they were not able to do what his organization does with such success. Mr. Musk, Mr. Bezos and those that were apparently inspired by them are ushering in the future. It is something that would not have happened without Elon Musk, this I am sure. SpaceX does what was commonly accepted as being impossible. Musk started his own rocket company after so many others have failed. He launched satellites into space when only countries have done it before him. SpaceX dramatically, quickly and continually improves their launch vehicle and their rocket engines when the industry often used rocket engines that were first built in the 1950s. SpaceX builds world class rockets when it seemed only Russia could do so. SpaceX recovered its first stage when all said it was impossible. Later this month they will reuse a first stage like no one has done before. SpaceX does it all on a shoestring budget and less expensive than anyone else. Now they present the Raptor rocket engine that is like no other out of their own funds with specifications that boggle the mind and it is reusable! Perhaps SpaceX will not get two people around the moon in two years. However, considering all the things they have accomplished I wouldn’t bet on it. What you mistakenly call “venom” are just sensible questions posed by people not taking everything SpaceX says at face value. The real problem your comment highlights isn’t that people are attacking Musk or Bezos; it’s that there are people with the audacity to actually review the company’s claims rationally and to pose critical questions about situations that could get people killed. It isn’t “venom”; it’s just not the slobbering love affair you and other SpaceX fans demand be granted to your company of choice. The venom will come when a crewed SpaceX mission goes the way of CRS-7 or AMOS-6. Cheaper isn’t always better, especially when it comes to space flight. Mars Climate Orbiter, Mars Polar Lander and CONTOUR proved that. This isn’t venom Bill, it’s those with knowledge trying to ensure SpaceX doesn’t relearn the painful lessons of the past. If you continue to do so, you’ll not only gleefully be accepting to be “Commander Bill” of CRS-7 and AMOS-6, but “Commander Bill” of the 1st crewed mission that SpaceX looses. I wonder if you’ll be so arrogant then? Something tells me you won’t. There is nothing wrong with taking a skeptical position w/r SpaceX. That said, I’m a supporter of Elon’s visionary enthusiasm, something lacking at the ULA and NASA. I’m not banking on them keeping to this very optimistic time frame, but I also have no doubts that they’ll carry it off in due course. Loss of life? Of course there will be accidents. The cutting edge of flight has always been risky, and the cutting edge of space has proven so as well. It’s also possible to get run over by a car just walking across the street. Can someone please tell me why dragons nose cone is rounded unlike the Apollo CM? It’s even more drastical with blue origins launch vehicles. Because the Dragon nosecone needs to be aerodynamic, because it operates in the atmosphere. The Apollo CM’s nose was covered by the escape tower during launch, which was then jettisoned. SpaceX needs to set ambitious gaols. Even if they fall slightly short, it is important that they are ambitious. This is what drives their progress. If they do not try to get to the goals first then they would be criticized for not getting enough done. that is followed by acceptance of average results, which then stagnate progress. That is what happened with the space shuttle. It was accepted as the best that was needed, then the people writing the checks decided that we don’t need to go further, and the space program began to stagnate. As for when the first loss of life occurs, this is space flight. As with any form of transportation, safety is good, except we should not cower at home because we are afraid of car accidents. We will still travel, we just need to use good judgement while doing it.